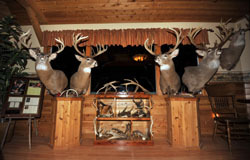 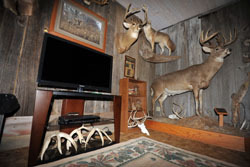 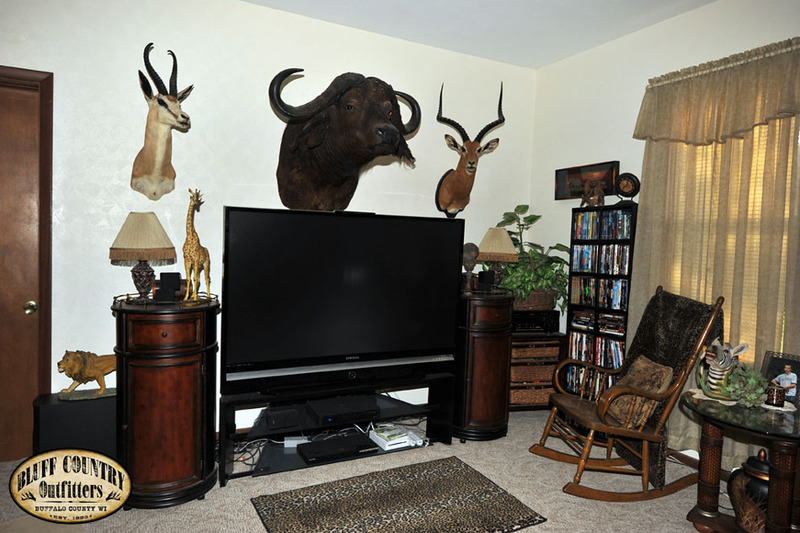 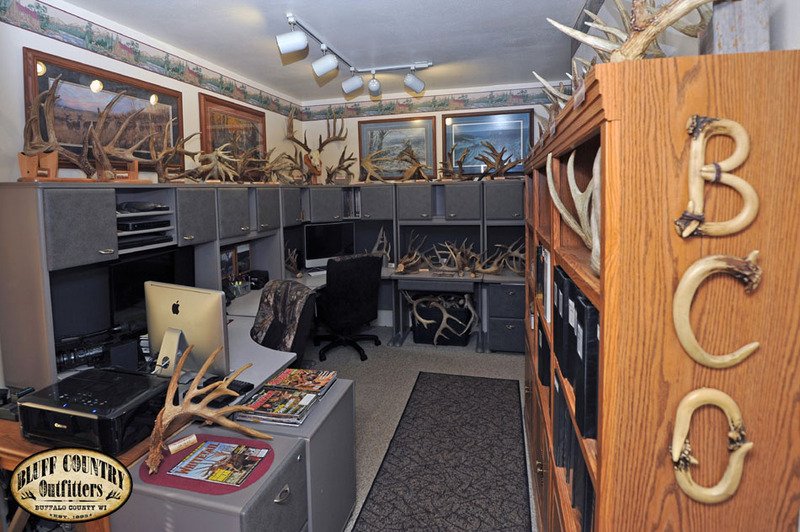 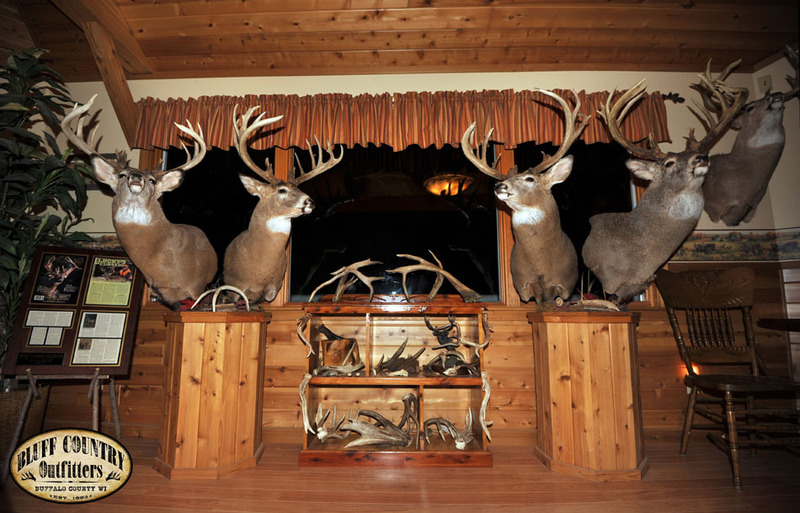 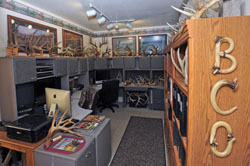 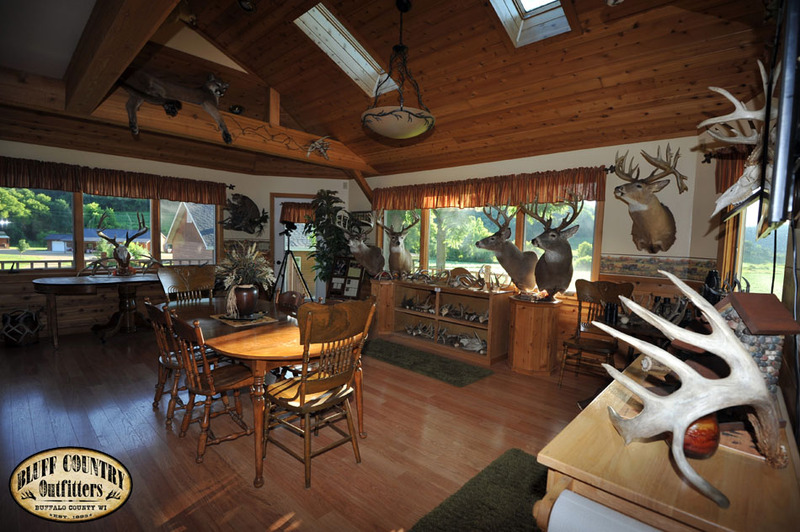 Our goal at Bluff Country Outfitters is to create a memorable experience, one in which you will want to return time and again. 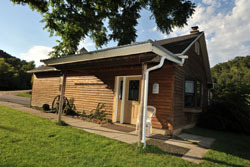 Located amoung the prestine bluffs of the upper Mississippi River Valley, this area offers an array of activities that will enlighten you. 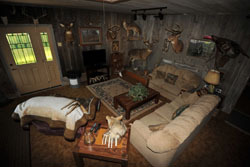 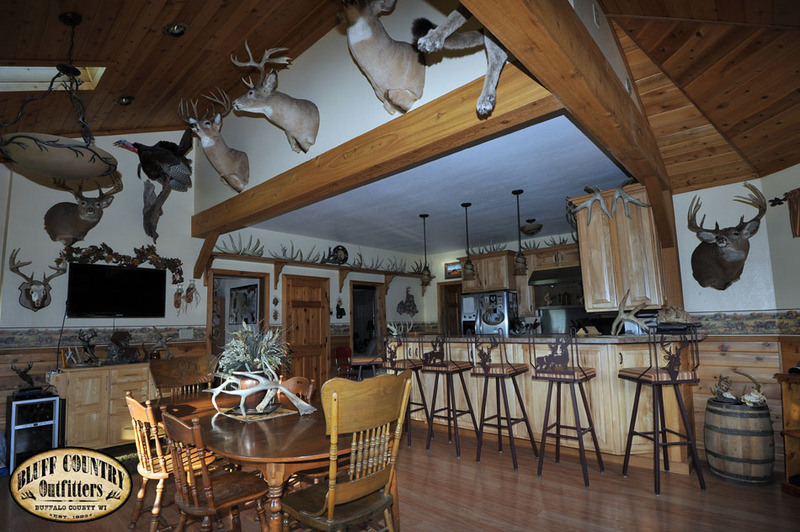 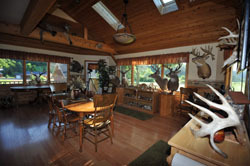 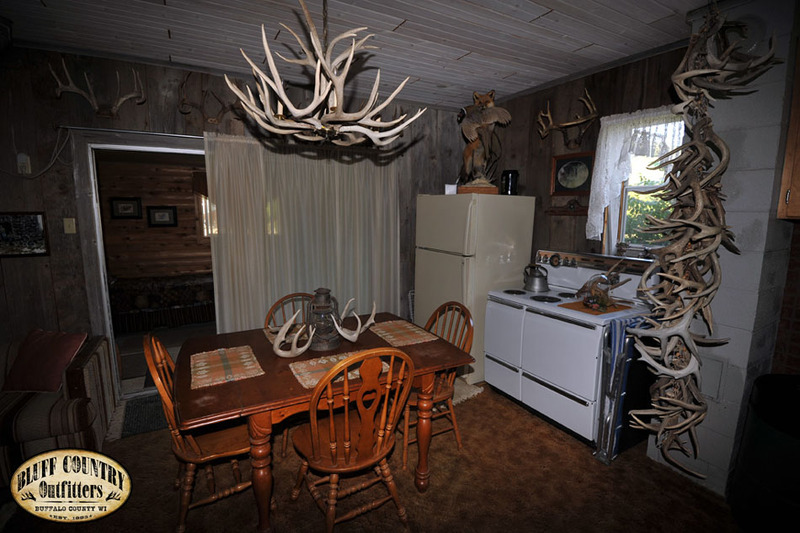 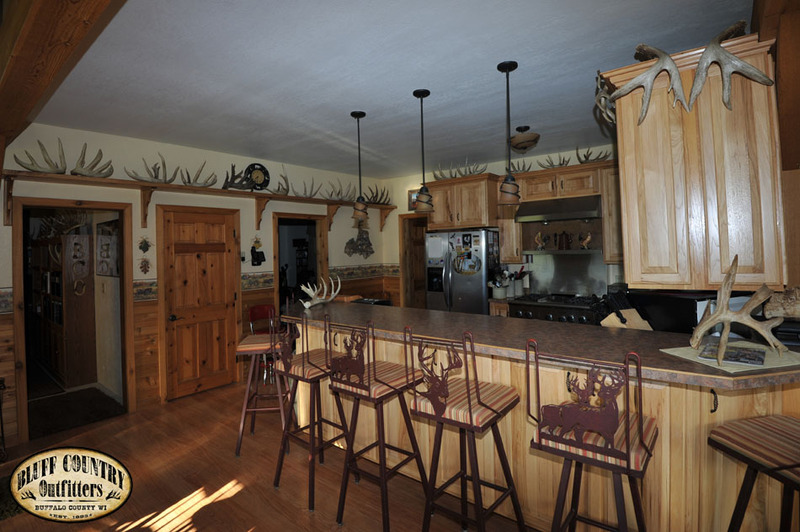 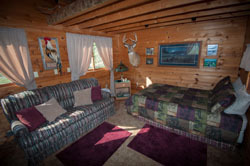 In addition to excellent hunting, the area offers fishing, hiking, canoeing, bird watching and photography trips, along with 4-wheeling and snowmobiling. Also, along the great river roads, there is an abundant supply of Antique and Craft Shops. 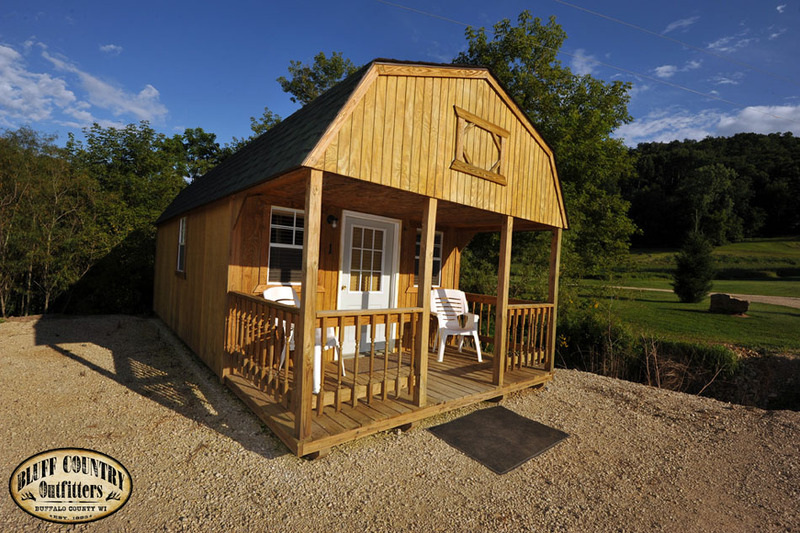 The drive along the Mississippi is breathtakingly beautiful. 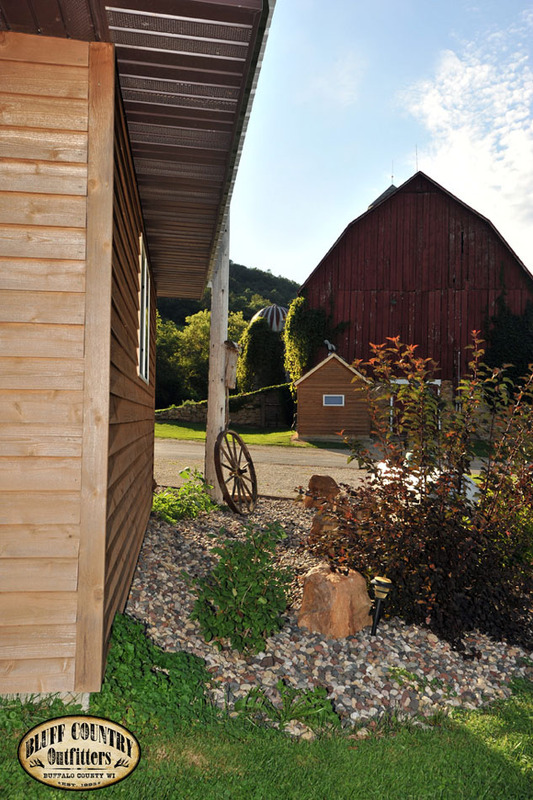 Close by, is beautiful Lake Pepin, that is rich in it's Indian History. 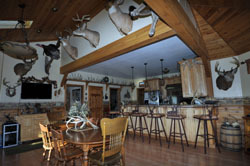 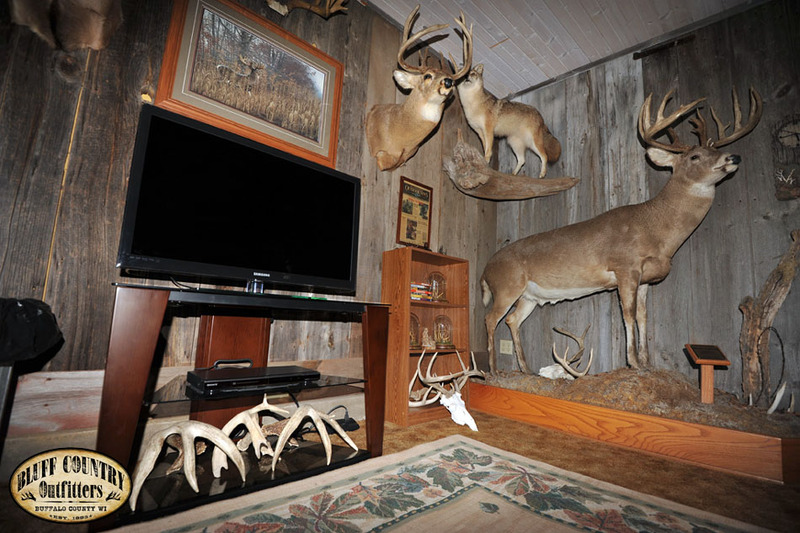 While hunting we will do everything in our power to make your stay a fun and unforgetable experience. 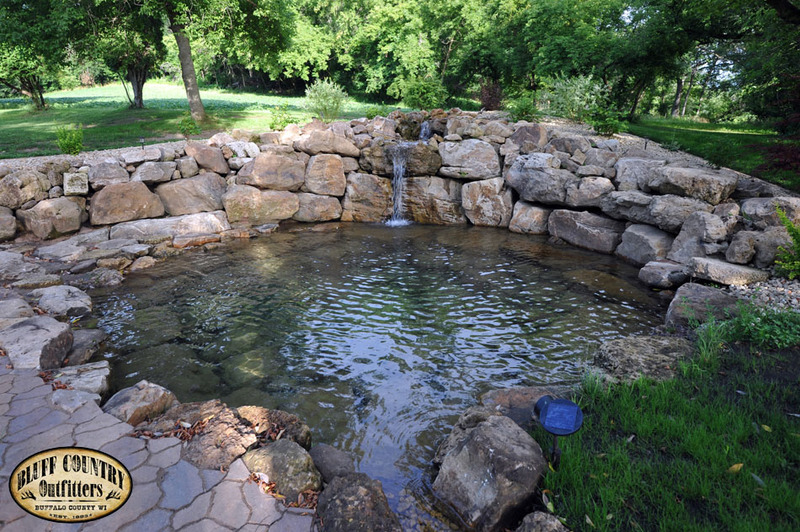 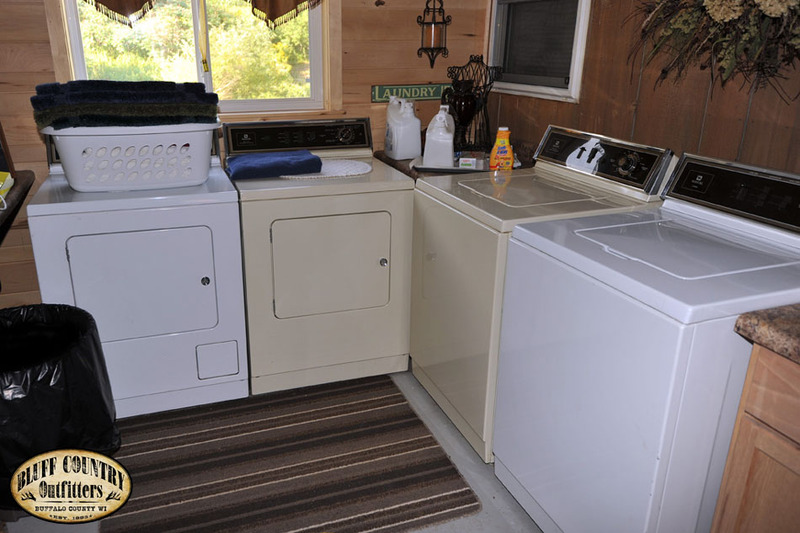 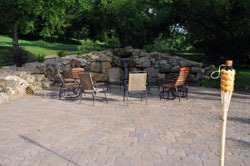 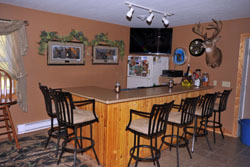 Our country setting offers the perfect get-a-way. 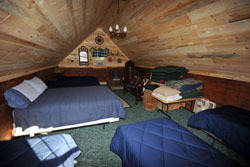 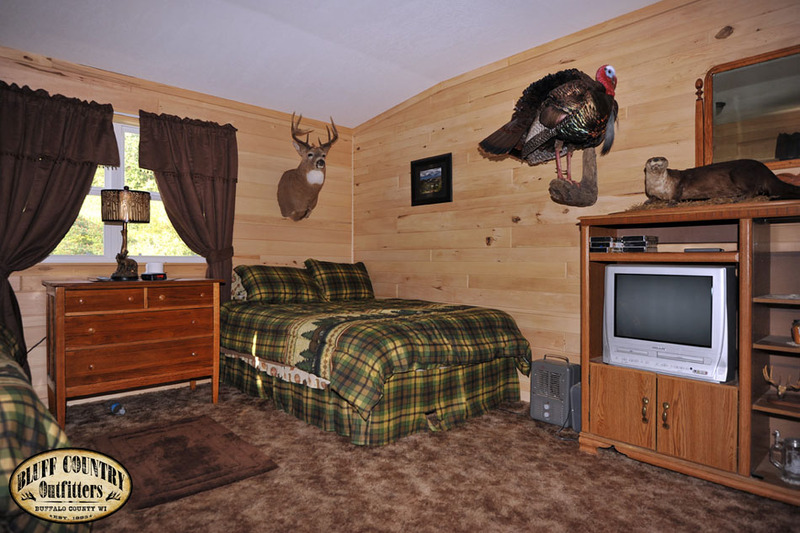 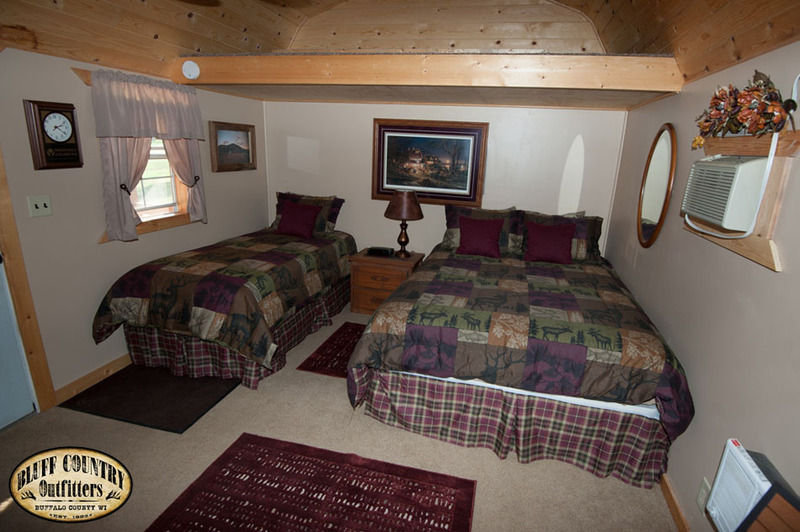 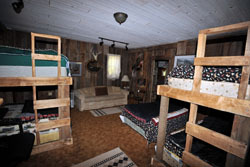 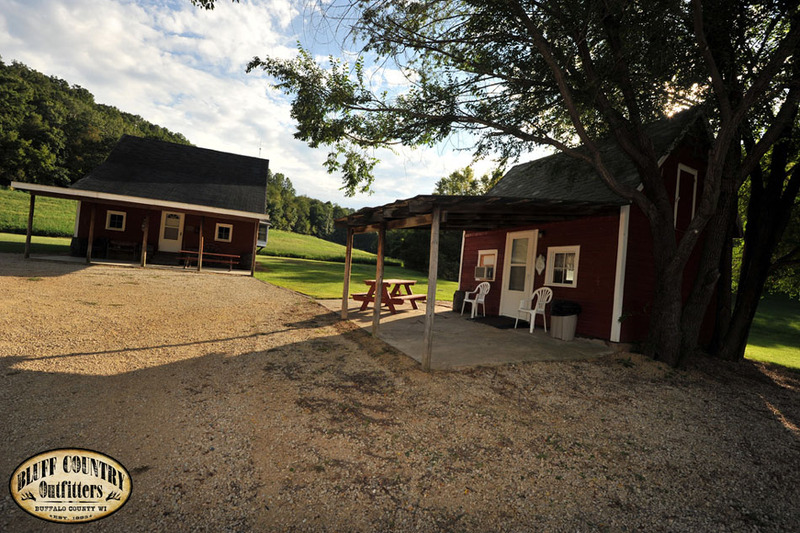 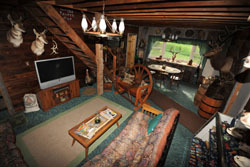 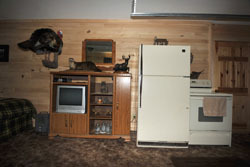 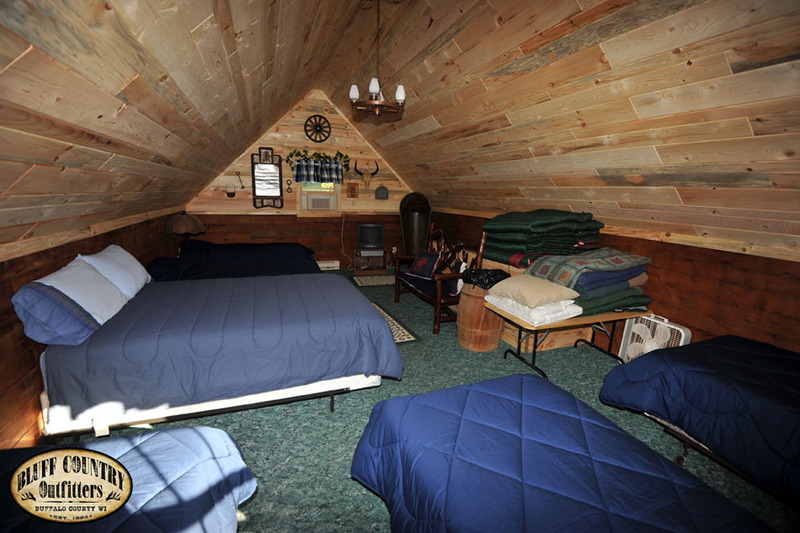 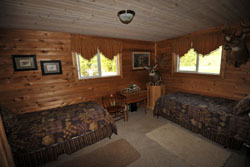 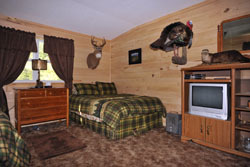 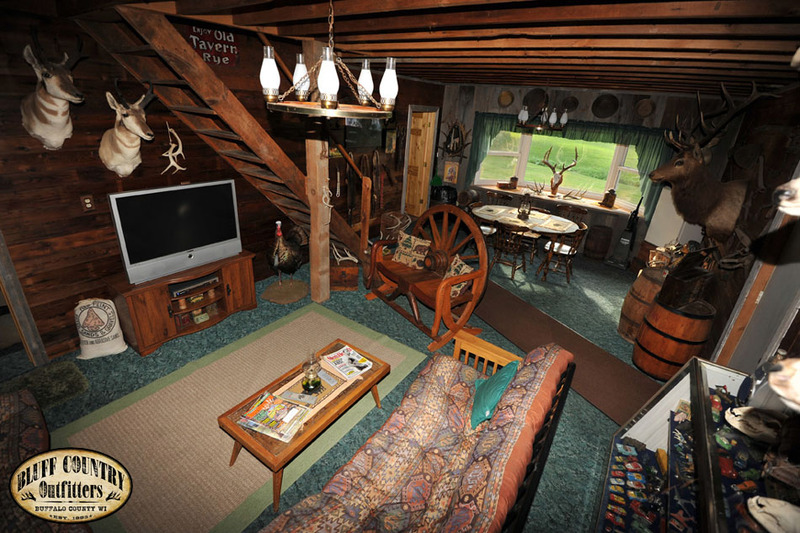 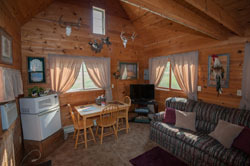 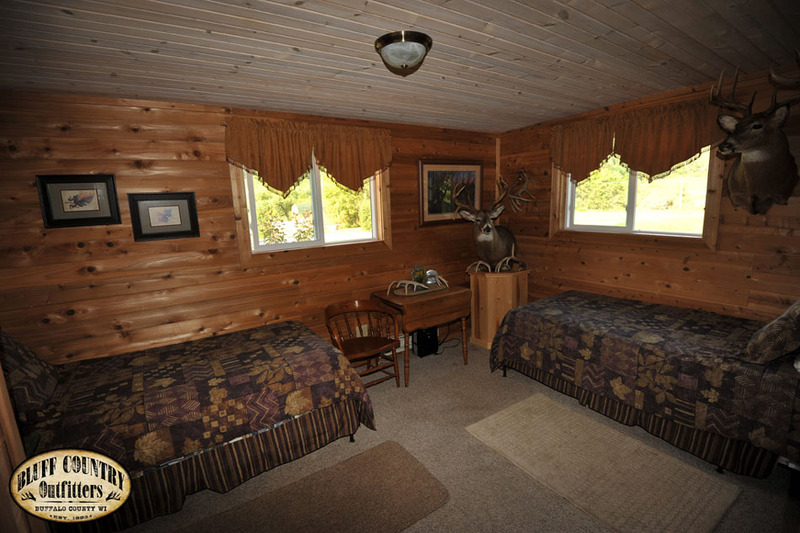 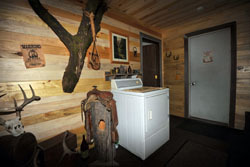 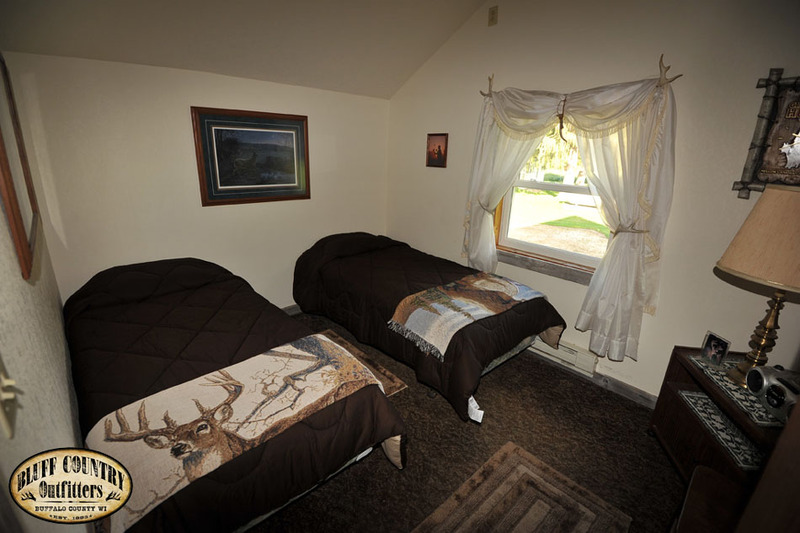 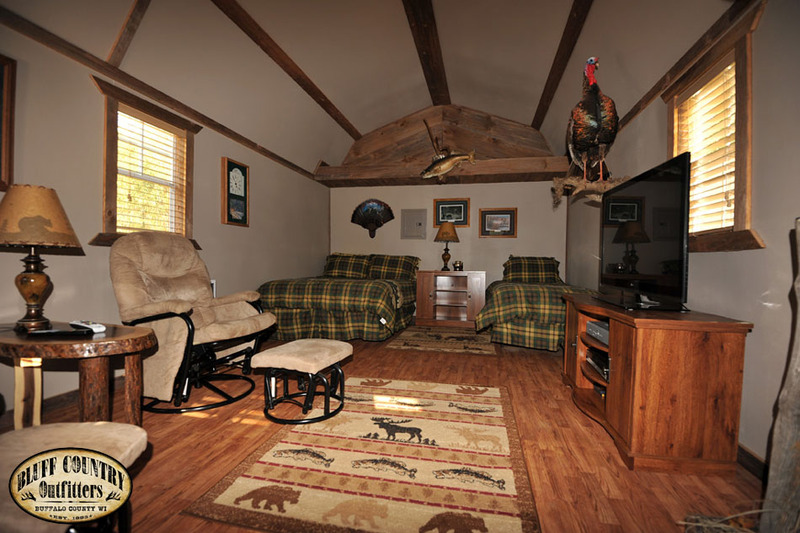 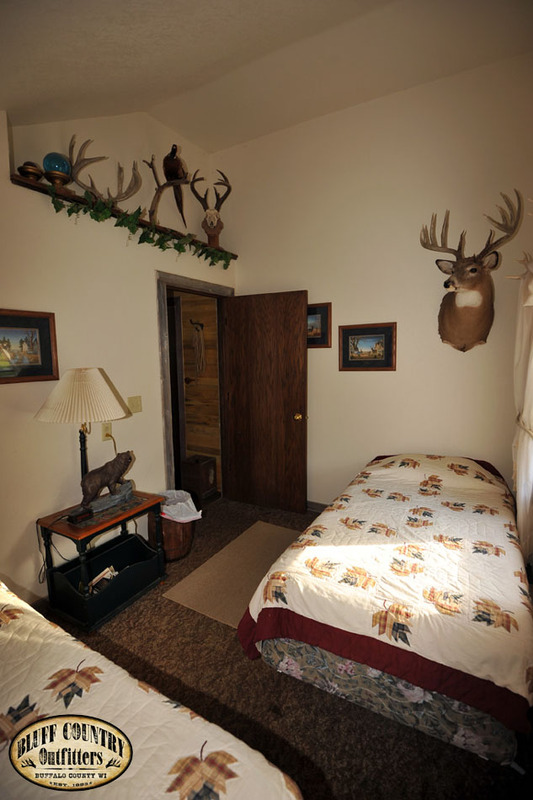 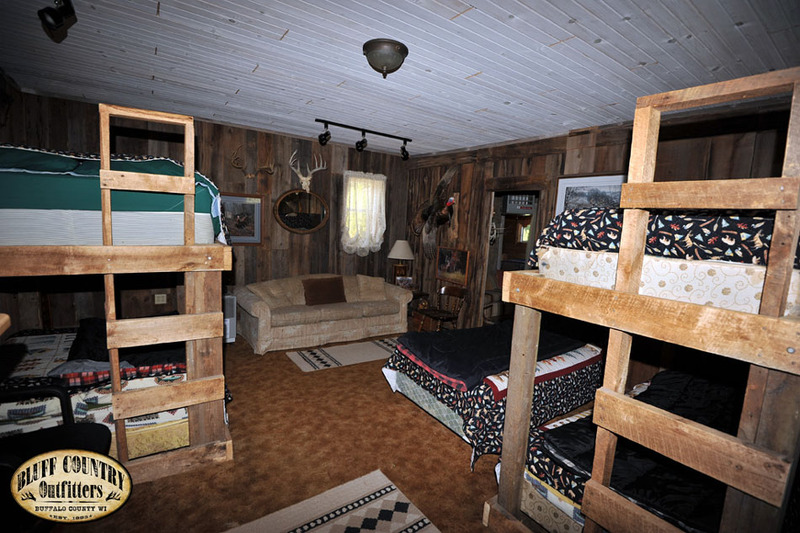 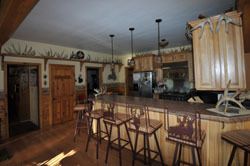 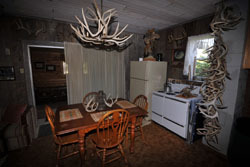 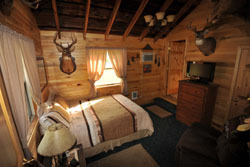 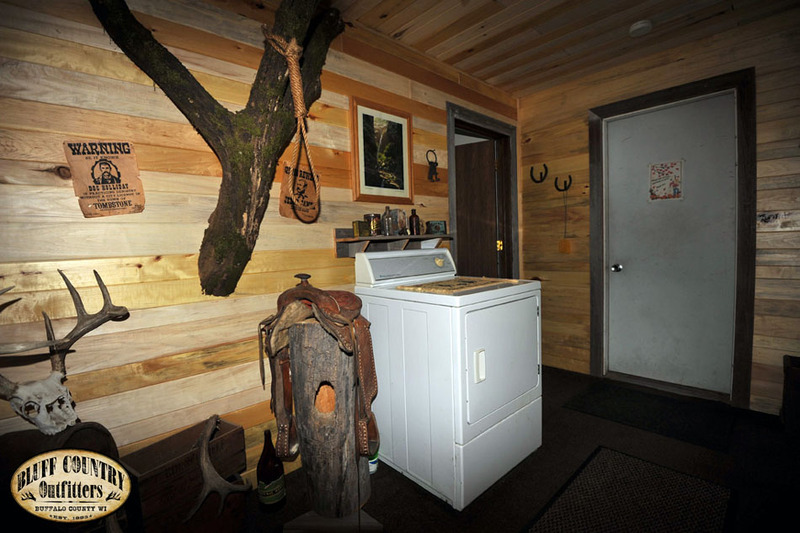 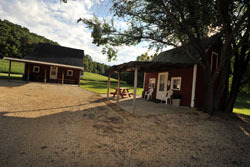 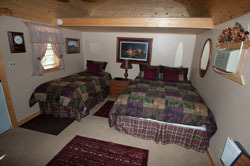 Our comfortable accommodations include warm, clean bunkhouses, finished in a tastefull rustic style. 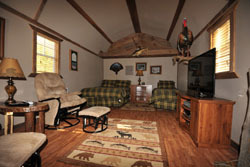 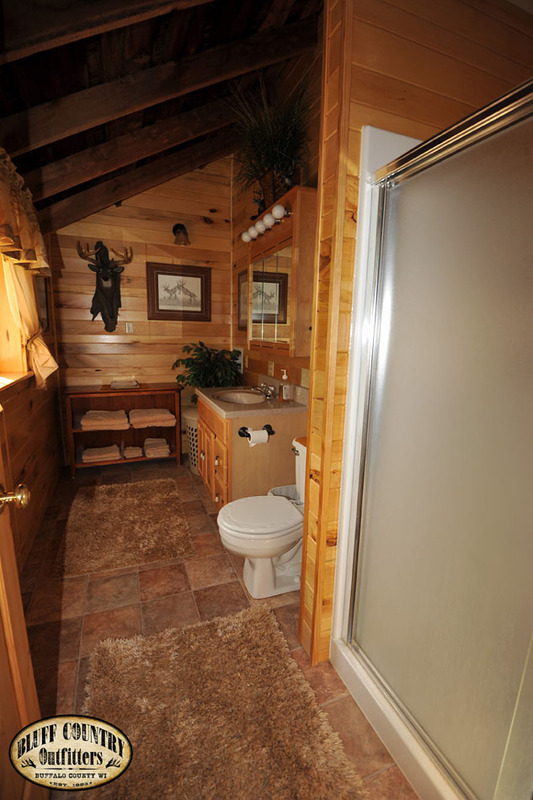 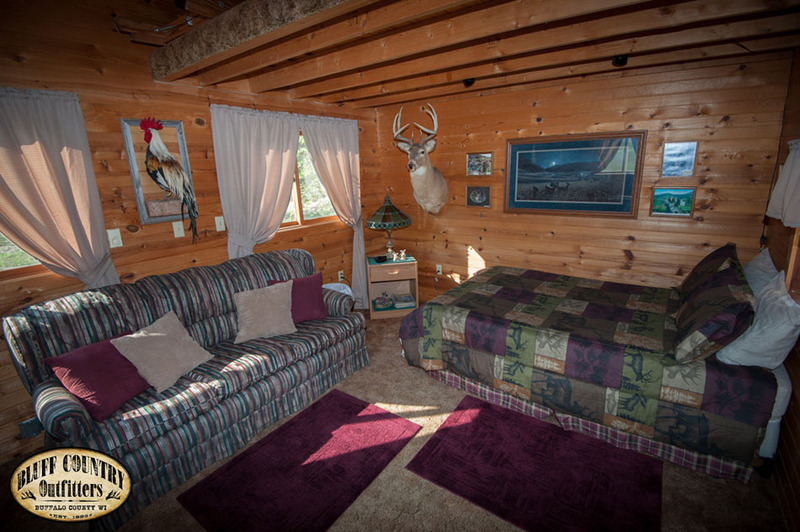 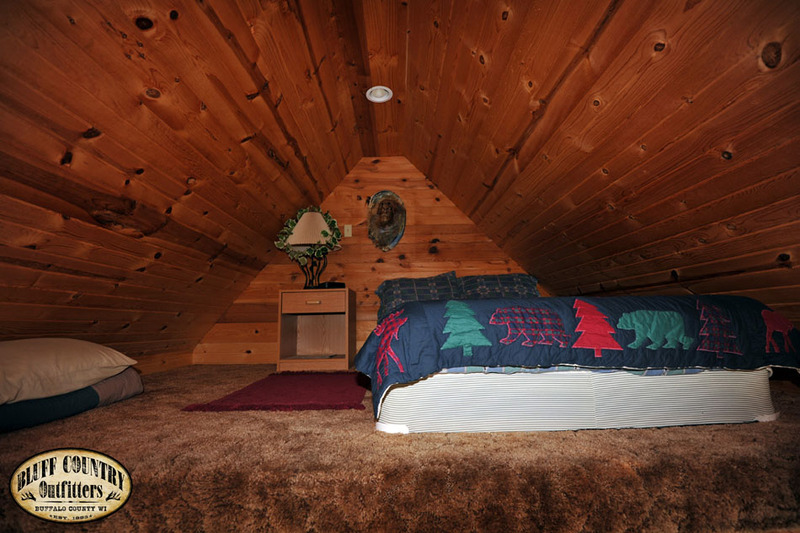 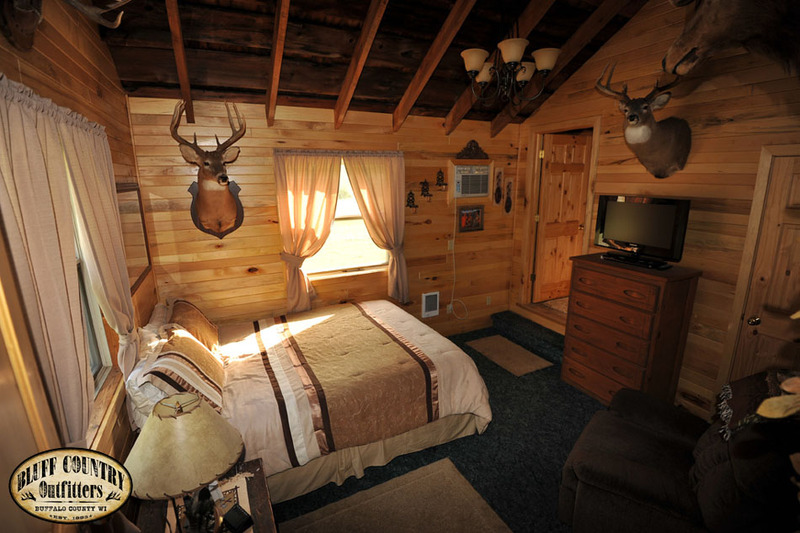 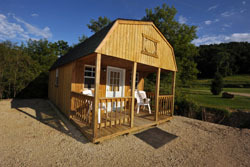 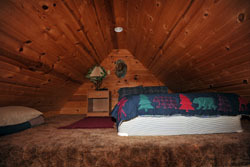 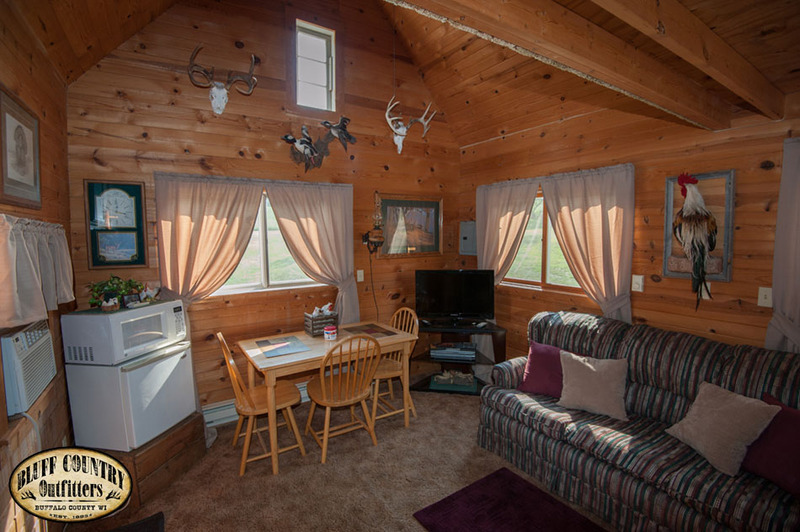 Cozy cabins offer more private accommodations for couples. 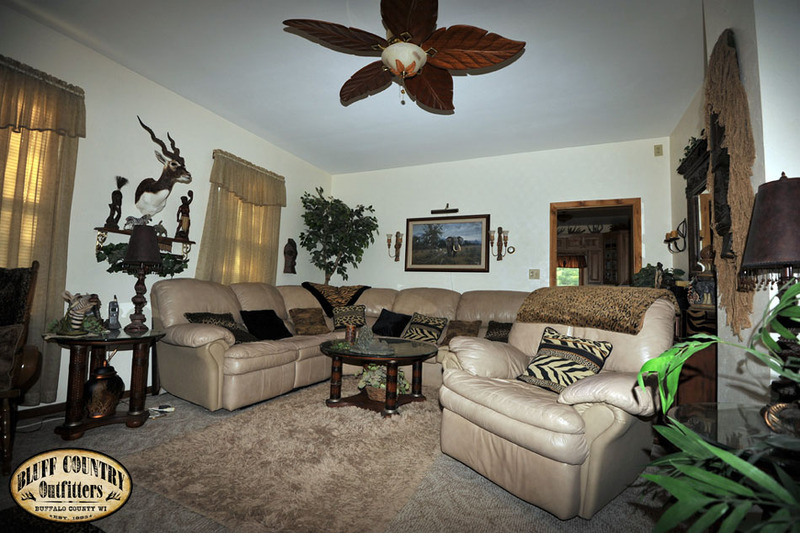 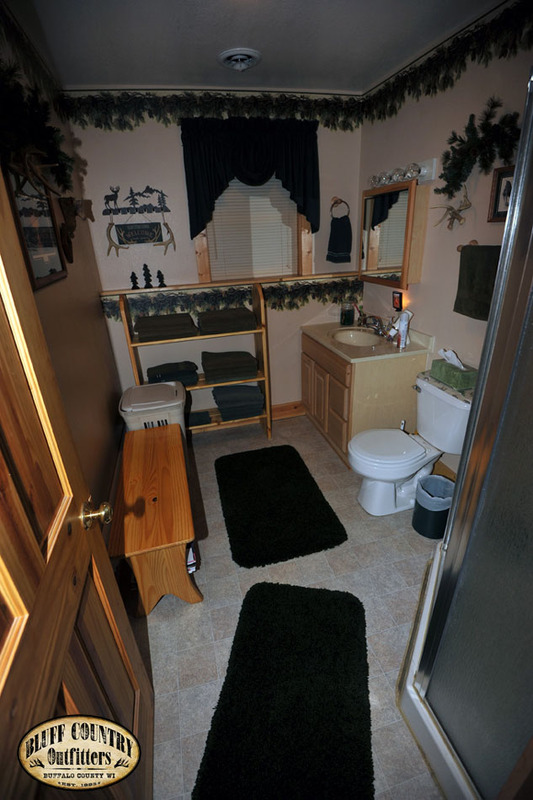 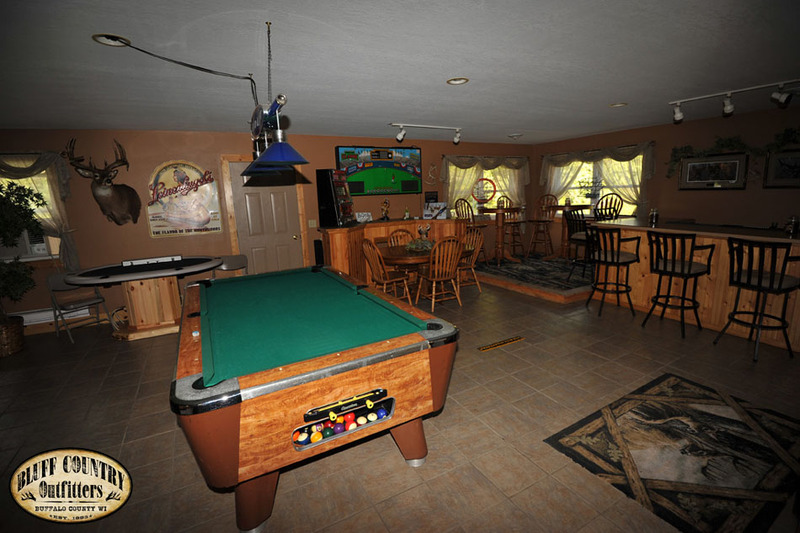 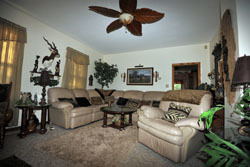 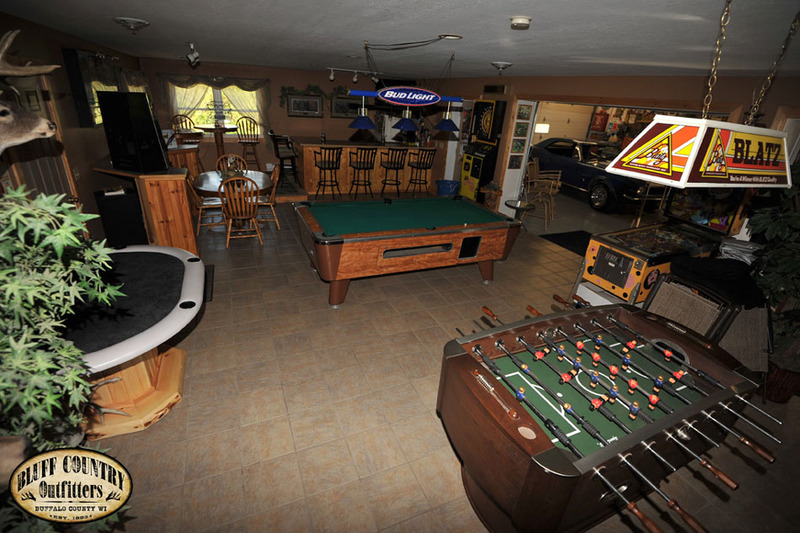 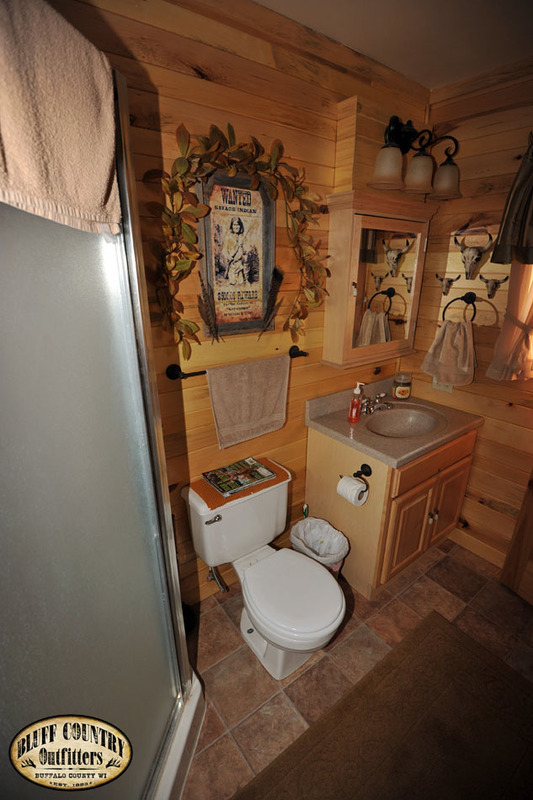 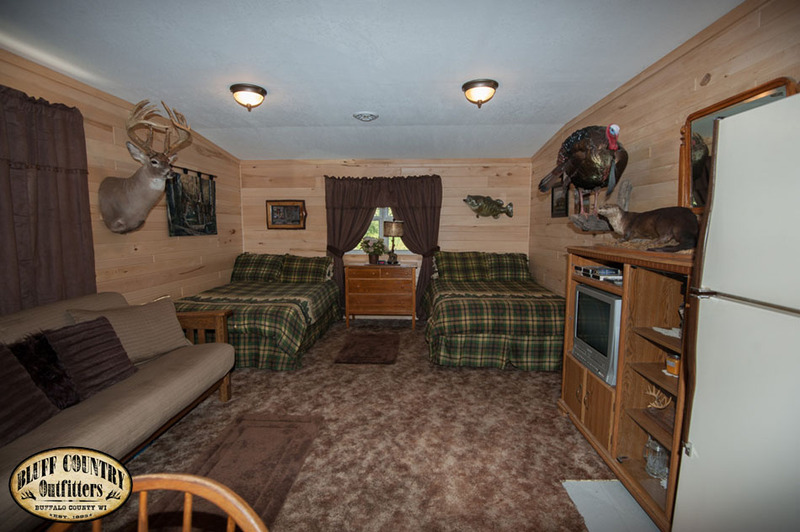 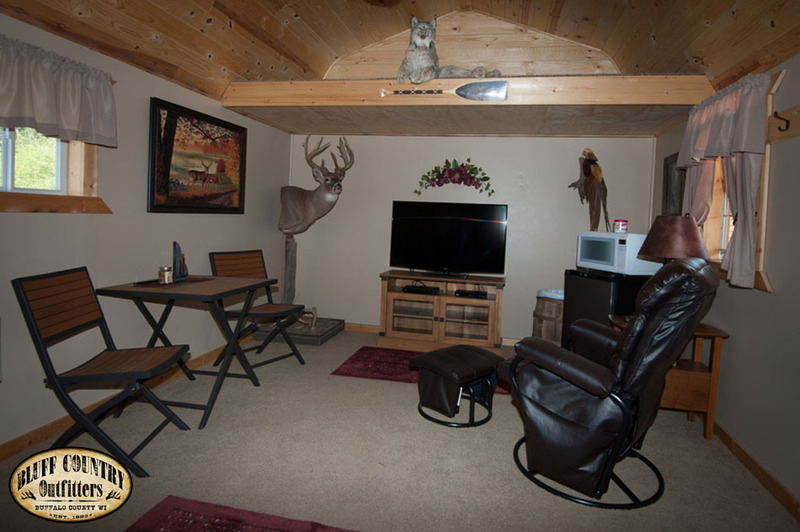 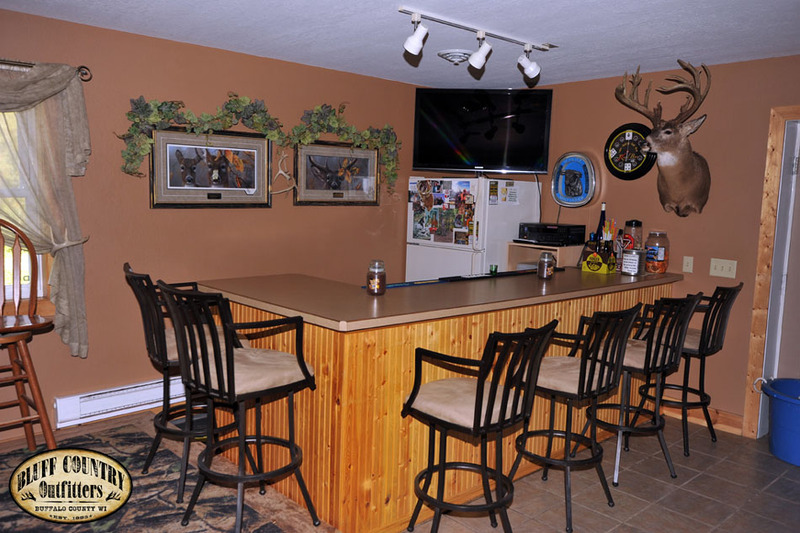 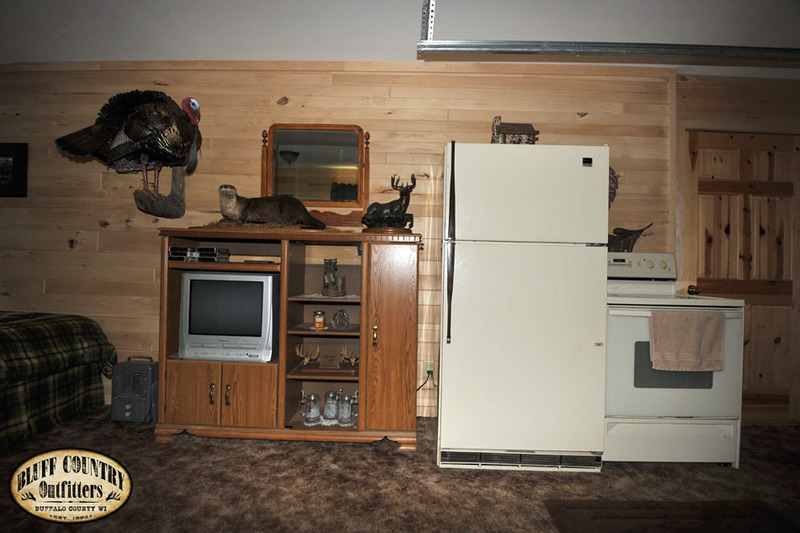 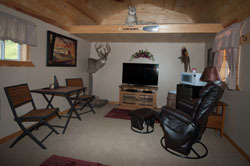 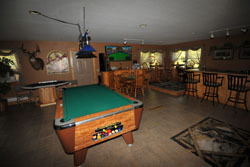 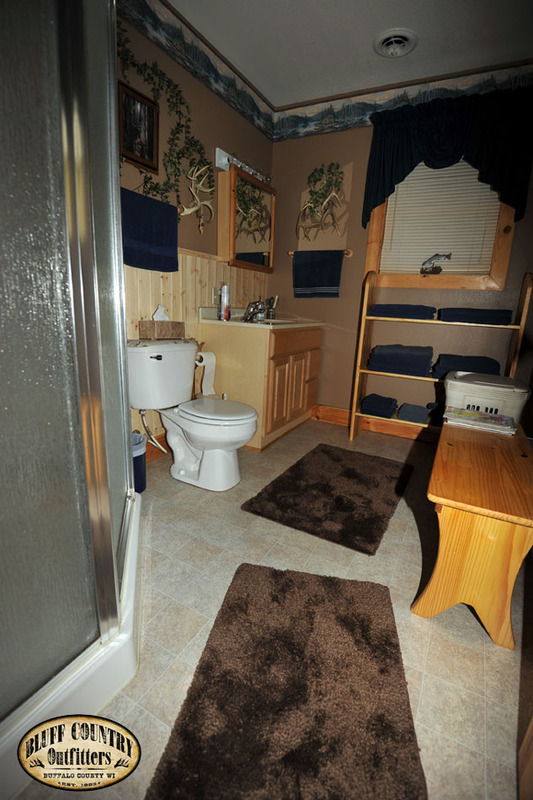 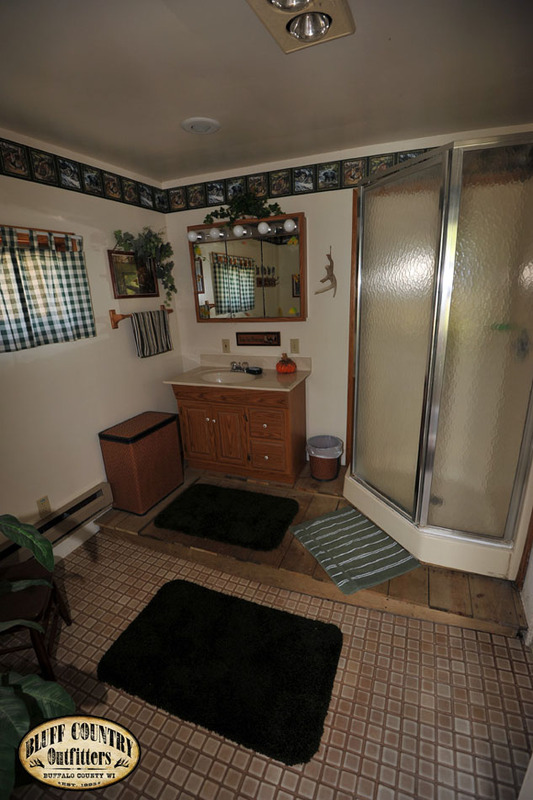 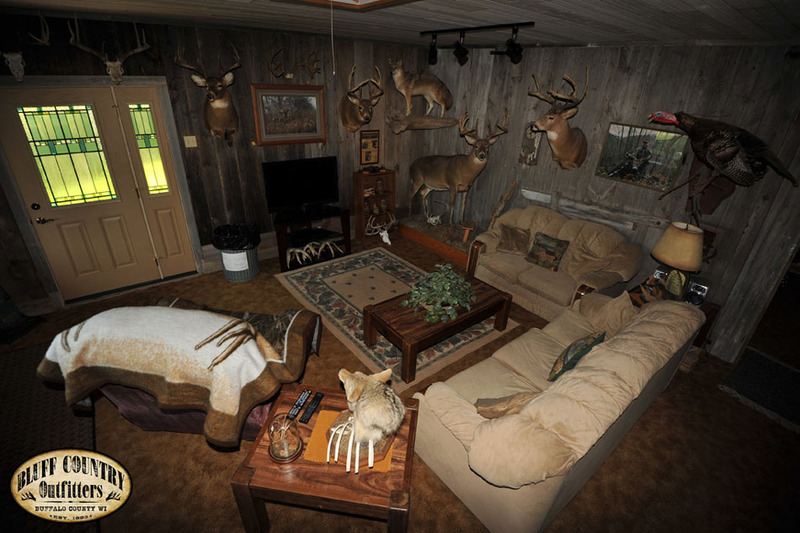 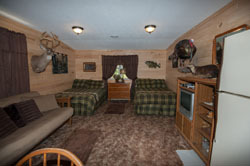 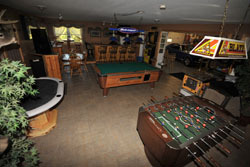 A recreation room with a lounge and showers is also available. When needed, we have made accommodations for those with physical disabilities.